Is God a He-She? | Have Ye Not Read? In my in-depth Bible study, Lucifer, the Divine Androgyne, Ancient God of the Modern Transgender Movement, I document the fact that the Kabbalists and occultists want us to believe that God “transcends gender” by simultaneously being both male and female. The Kaballists and occultists further claim that Adam was also originally both male and female, and thus the modern transgender movement is merely a way of returning to our original “pristine” state of being. You see, according to the Kaballists and occultists, the more “transgender” one is, the more like God one is, since God made Adam in His image, and God transcends gender by being both genders at once. The Kaballists and occultists even go so far as to claim that the Scripture in Genesis 1:27 — i.e., “God created mankind; male and female God created them” — verifies that in God’s original creation of man on this earth, everyone had physical male and female characteristics like God. Of course, that passage simply means God made males and God made females, and He made them for the specific purpose of procreation, i.e., “Be fruitful, and multiply, and replenish the earth…” (Genesis 1:28). But the Kaballists and occultists can’t see that. Some of them go so far as to say that because one of God’s titles is El Shaddai, which is translated from the Hebrew root word Shad, meaning a “breast,” God has both male procreative organs and female breasts. Yes, He is like a mother, but not in the sense of physical attributes or sexuality. He is like a mother in the sense of providing us with all of the sustenance we need for eternal life. The “Pastor” then twists certain Scriptures which compare Father’s compassion for His children to that of a mother’s compassion for her child, claiming instead that those passages secretly mean God is both male and female. In other words, the so-called Pastor is claiming we can’t box God into the “male” or “female” category. He’s both genders at the same time, and yet neither. 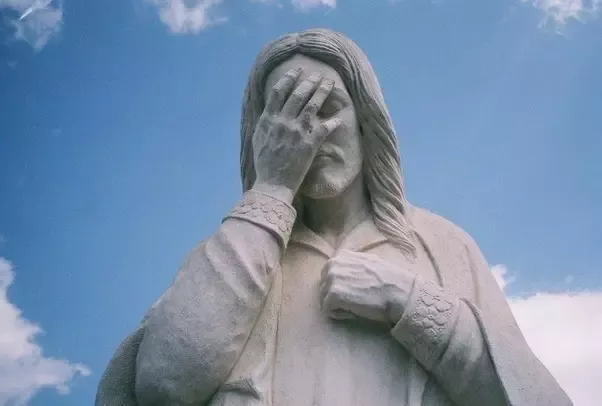 Put differently, some Christian pastors are now claiming the inscrutable nature of God makes Him both a he and a she, and yet at the same time, neither he nor she, but instead something so all-encompassing we can’t grasp it with our little pea brains. You see, they claim God is simply too mysterious and too all-encompassing for us to understand, so He must be a little bit of everything thrown together into the same mix. He’s the great “I am,” and that “I am,” according to the “Pastor” in the article I linked to above, makes Him a little bit of everything. The underlying but not openly stated presumption is that we, too, should be a little bit of everything thrown into the same mix, since that would make us more like God. And yes, this stuff is creeping right into the Christian churches of today, where you’ll even see, in some denominations, homosexuals and transgenders being ordained as priests and pastors. Prepare to be revulsed: If you Google the phrases “transgender priest” and “transgender pastor” you’ll see 1,600,000 hits for the first phrase, and 1,860,000 hits for the second one. See here, here, here, here, here and here for examples. The goal of this “great work,” ultimately, is to so thoroughly confuse and corrupt God’s children, they’ll no longer be fit for God’s eternal family household. If you’d like to learn more about this great Satanic transformation, see Lucifer, the Divine Androgyne, Ancient God of the Modern Transgender Movement. I that study, I document the ancient pagan roots of the modern transgender movement, going all of the way back to the goddess Ishtar who was portrayed in the mystery religions as being both male and female, and of helping mankind convert to having both male and female sexual characteristics. What modern so-called “Pastors” are now doing is hanging those pagan attributes on our heavenly Father, and then claiming we need to be more like Him if we want to please Him. Of course, that’s a blasphemy they’ll have to deal with later, at the great white throne judgment. Meanwhile, our job as Christians is to hold up the plumb-line of truth to the world, in the face of its mass apostasy, and tell God’s children there are consequences to their actions.